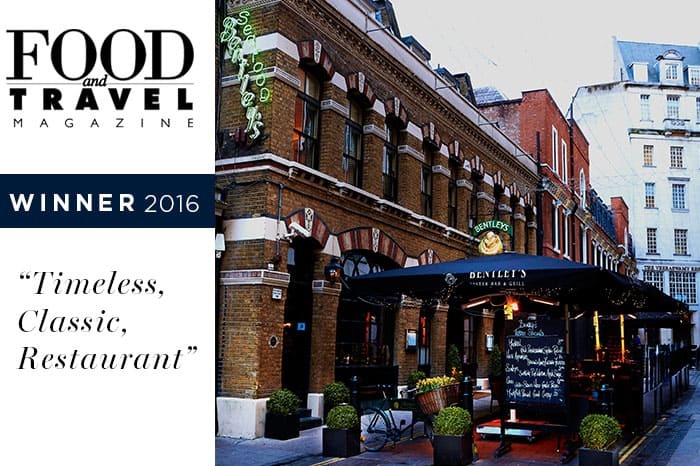 Bentley’s Oyster Bar and Grill has won ‘Timeless Classic’ in this year’s Food and Travel Awards. The shortlist was compiled after thousands of Food and Travel readers voted for their favourite restaurants, hotels and chefs over the past few months. The Awards were held last night at The Royal Automobile Club.